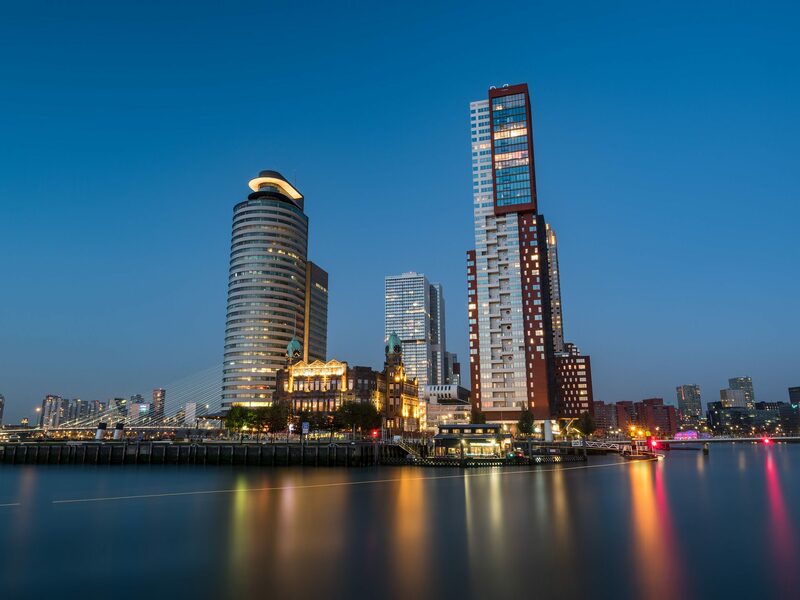 Rotterdam is a beautiful and modern city that boasts creative architecture. This image is a high-resolution composition of several images over 8 minutes shutter speed. During the last shot a water taxi conveniently drove to the dock that gave this scene a dynamic yellow line. I decided not to straighten the lines vertically for a more island-like feeling.